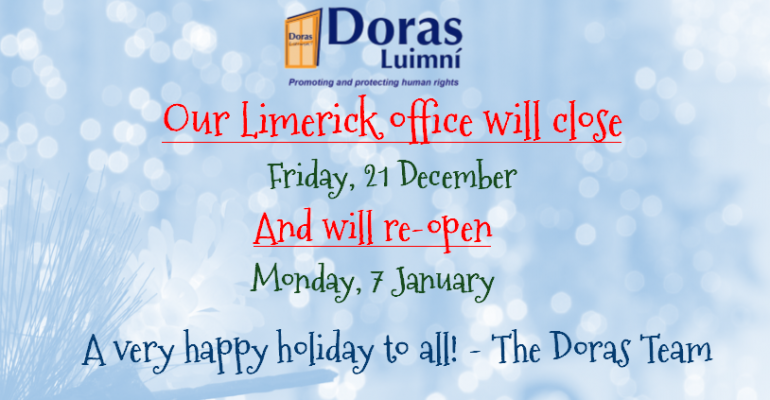 Although the Doras offices will be closed this holiday season, there are a number of support and emergency services available during this time. We have listed their holiday hours below. Ozanam House, Hartstonge Street, Limerick. Reopening regular hours 2nd January. Closed 25th and 26th of December and 1st of January. Closed: 25th, 26th of December and 1st of January.